Dorothy Akers, born in Brookfield, Missouri, in 1923, moved to Los Angeles when she was 22 years of age to become intimately involved in gospel music. "Sweet, Sweet Spirit" was written by Akers in 1962. 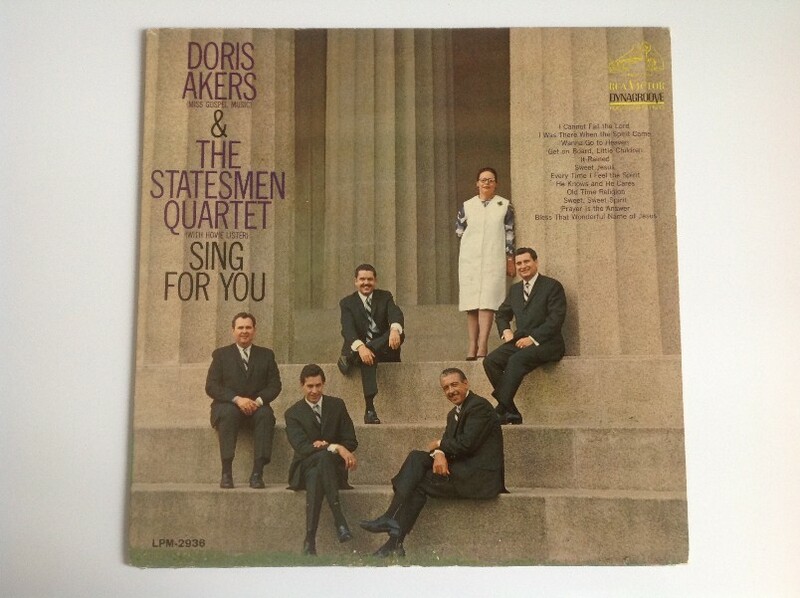 She recorded the number herself together with the Statesmen Quartet, releasing it on the LP, "Dorothy Akers & The Statesmen Quartet Sing For You" on RCA LPM 2936. Dorothy Akers died in July 1995 and was inducted into the Gospel Music Hall of Fame in 2001. "Sweet, Sweet Spirit" was often sung in Elvis concerts, but not by Elvis. Instead, he would ask one of his backing groups, The Stamps, to perform the number, while he simply watched in admiration. During rehearsals, Elvis had the habit of singing many gospel numbers with members of his concert party; some of these rehearsals were recorded and thanks to this a very brief passage of "Sweet, Sweet Spirit," sung by Elvis, can be heard on an unofficial release. Stay right here with us,filling us,filling us,filling us,filling us,filling us,with Your love. And I know that it's the presence of the Lord. Stay right here with us,filling us with Your love.